Raising awareness about the magnitude and severity of problems related to comorbidity of depression and diabetes. 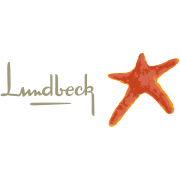 Lundbeck is a global pharmaceutical company specialized in brain diseases. For more than 50 years, they have been at the forefront of research within neuroscience. Our key areas of focus are alcohol dependence, Alzheimer’s disease, bipolar disorder, depression/anxiety, epilepsy, Huntington’s disease, Parkinson’s disease, schizophrenia and stroke. Their approximately 6,000 employees in 57 countries are engaged in the entire value chain throughout research, development, production, marketing and sales. Their pipeline consists of several late-stage development programmes and our products are available in more than 100 countries. We have research centres in China, Denmark and the United States and production facilities in China, Denmark, France and Italy. Lundbeck generated revenue of DKK15.3 billion in 2013 (EUR2.1 billion; USD2.7 billion). The International Council of Nurses (ICN) is a federation of more than 130 national nurses associations (NNAs), representing the more than 16 million nurses worldwide. Founded in 1899, ICN is the world’s first and widest reaching international organisation for health professionals. Operated by nurses and leading nurses internationally, ICN works to ensure quality nursing care for all, sound health policies globally, the advancement of nursing knowledge, and the presence worldwide of a respected nursing profession and a competent and satisfied nursing workforce. ICN's ever-increasing networks and connections to people reinforce the importance of strong linkages with national, regional and international nursing and non-nursing organisations. Building positive relationships internationally helps position ICN, nurses and nursing for now and the future. Their work with the specialised agencies of the United Nations system, particularly with the World Health Organization, the International Labour Organisation and the World Bank, are important for nurses everywhere. In addition, they work closely with a range of international non-governmental organisations. Mission: To represent nursing worldwide, advancing the profession and influencing health policy. VISION: ICN represents the voice of nurses around the world. They influence health, social & economic policy at country, regional and global level through the sharing of evidence & best practice. ICN envisions a world in which human rights are respected and protected including the right of present and future populations to a safe, healthy and sustainable environment. They work in partnership and collaboration to advance the profession and improve the wellbeing of nurses and the health of populations everywhere and advocate for the respect of cultural values, customs and spiritual beliefs. -Develop, maintain and promote up-to-date products such as ICN position statements, fact sheets, scans, website, etc. Their partnerships and strategic alliances with governmental and non-governmental agencies, foundations, regional groups, national associations, and individuals, assist ICN in advancing nursing worldwide. ICN is headquartered in Geneva, Switzerland. For further information on ICN structure, publications and activities. The Association for the Improvement of Mental Health Programmes was founded in 2004. Its objective is to make a contribution to the improvement and promotion of mental health programmes worldwide. It aims to achieve its goals by means of advice, consultation and research, by organizing talks and seminars, by initiating and coordinating studies and other theoretical and practical work, and by any other appropriate means that can improve the care of people with mental illness and their families and raise the value given to mental health by individuals and societies. The International Diabetes Federation (IDF) is an umbrella organization of over 230 national diabetes associations in 165 countries and territories. It represents the interests of the growing number of people with diabetes and those at risk. The Federation has been leading the global diabetes community since 1950. IDF’s mission is to promote diabetes care, prevention and a cure worldwide. IDF is engaged in action to tackle diabetes from the local to the global level ― from programmes at community level to worldwide awareness and advocacy initiatives. The International Diabetes Federation is divided into seven regions, with the aim of strengthening the work of national diabetes associations and enhancing the collaboration between them. IDF’s national diabetes associations are divided into the following regions: Africa (AFR),Europe (EUR),Middle East and North Africa (MENA), North America and Caribbean (NAC),South and Central America (SACA), South East Asia (SEA) and Western Pacific (WP). The Federation’s activities aim to influence policy, increase public awareness and encourage health improvement, promote the exchange of high-quality information about diabetes, and provide education for people with diabetes and their healthcare providers. IDF is associated with the Department of Public Information of the United Nations and is in official relations with the World Health Organization (WHO) and the Pan American Health Organization (PAHO).